If you’re still following Bookphilia.com, bless you. This is, I believe, to be my final post here. 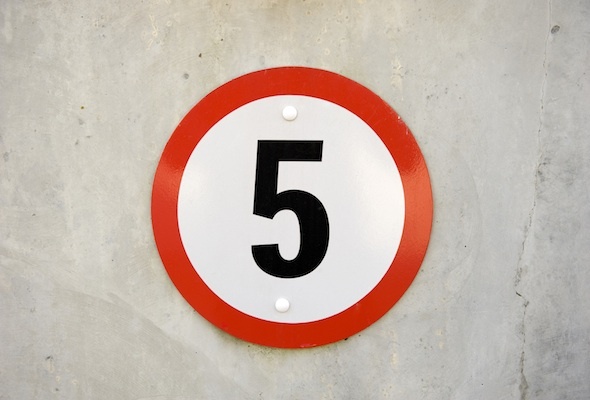 On the fifth anniversary of this blog, I’m officially moving onwards and upwards to brighter and broader things; I hope you’ll join me over at Jam and Idleness starting right now! I’ll still be talking about books there but I’ll also be discussing cooking and learning to garden and sew (not simultaneously) and riding my bicycle—generally, the growing wealth of things I’ve found to do and think about since I’ve realized, post-grad school, that there is more to life than sitting in a chair for 14 hours every day with my nose in a book. I will also be discussing, perhaps, the horror of overly long sentences; but that’s for another day. So, friends, take care. And please come see me in the land of sugary spreads and laziness. :) Thanks again for many good interwebby years! As it's been a solid month since I last posted, this will surprise no one; indeed, you may be wondering why I'm bothering to make it official at all. 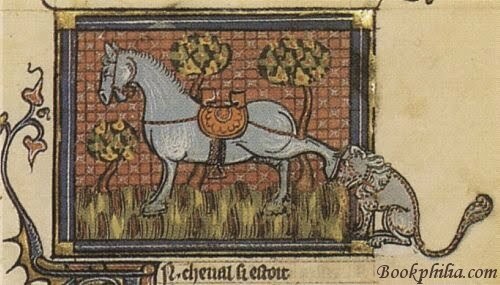 Well, I don't like to just disappear without saying anything (as I have) so here it is: I'm putting the blog on hiatus, until I don't know when. I definitely see this as a hiatus and not as a precursor to a deletion, but I have no idea how long this radio silence might last. I do know that I haven't really had time to engage with it in the way I'd like to in months, and I also don't know when things will improve in this regard. Also, and perhaps just as significantly, I think writing only about books has reached a critical enough low on my interest scale that I need to think seriously about making this into a different kind of blog—which might necessitate a new name and a new layout—more things that take time I don't currently have, in other words. Before getting the best Festivus gift ever (i.e., rolling out of bed very late to eat pancakes and read Dickens! ), I finished a few other things, all of them very good, none of them perfect (although Sanshiro was close). 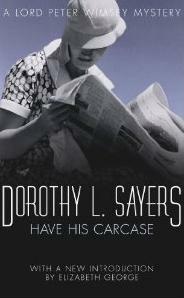 First up was Dorothy Sayers's awkwardly titled Have His Carcase. More awkward than the title, however, was the plot which was just too ridiculously complicated; it was almost laughable. That said, I don't actually read Sayers for the plot. I read Sayers because she was an extremely gifted prose stylist and because the interactions between Harriet and Lord Peter are entirely irresistible. I loved this book in spite of its plot. Next up was Charlotte Bronte's Villette, the tale of a downtrodden but alternately rebellious, funny, mean, and hysterical woman of mysterious origin (not that Bronte ever did anything with the mystery she invoked around Lucy Snowe, damn her eyes). Lucy's adventures in being a self-supporting single woman result in adventures with ghosts, gaggles of teenaged girls, a Machiavellian boss, and a ferocious but strangely attractive male English teacher and no one knows which of said challenges is scariest. 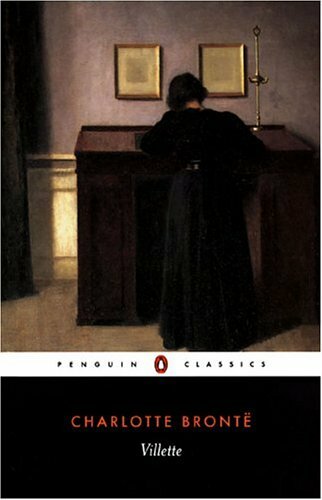 I alternated between being repeatedly surprised at Bronte's excellent writing (I love Jane Eyre, but in the many times I've read it, I don't honestly remember being struck by the writing per se), enjoying the story, and wanting to give Lucy a good hard shake for trying to be so self-effacing. Self-deprecation rendered in extensive and minute detail does not make for good reading, even when done by a gifted author. Overall, I enjoyed Villette quite a bit but I'm fairly certain I will never feel tempted to re-read it. 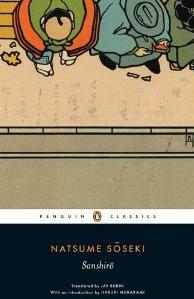 Finally, there was Soseki Natsume's Sanshiro (the new Jay Rubin translation! ), which I read in two days while Hubby and I traipsed around the perfect and beautiful city of Lisbon, Portugal. Soseki is one of my favourite authors (in spite of my finding Botchan to be just shockingly over-rated) and Sanshiro did not disappoint; it was alternately quietly hilarious and sharply satirical, somewhat silly and deeply saddening—rather like the titular boy-hero himself. This book was just lovely; it made me wonder why I haven't stormed through more of the Soseki cache I have stashed in my bookshelves...Probably because my rationing instinct is stronger than my consuming instinct when it comes to books; if only that were true of peanut butter toast! Now, we're all caught up. While I try to figure out when and how to return to Bookphilia, I will be reading, hopefully only from the large collection of unread books already in my possession. Yes, I have made a New Year's resolution, which is very unlike me. I've resolved to try and not buy myself books in 2012. I will, of course, continue to accept books as gifts because if I didn't, the lovely people who give me presents would likely go mad with confusion about how to give me things. Selfless of me, isn't it? See you soon(?) my friends! (PS-I'll keep my currently reading tab here up-to-date just in case anyone's curious; you can also find me on Goodreads, which I remember to log into every 1-2 weeks). I finished re-reading The Mill on the Floss tonight; I first read it in 1998-1999 when I had the pleasure of being in Rohan Maitzen's graduate seminar on George Eliot. I loved it then; I have a much greater appreciation for it now. Why I love this book is radically different in 2011; it's a sign of how immature a reader I was then that it's only now that I understand how much this novel is not about Maggie and Stephen and how much it is about Maggie and Tom, and the larger web of familial and social relations they stand at the centre of. For those of you who saw this obvious fact ages ago, don't laugh too hard at me. I've never believed the fairly commonly held notion by so many readers I've come across that if you don't properly sympathize with a book's central concern and its characters' most basic and irresistible desires and motives, it's because you haven't experienced them personally. I have argued with a number of parents about this with specific regard to Cormac McCarthy's The Road; they insist that I don't like it because I don't understand it, and that I don't understand it because I don't have children. I have dismissed this fuzzy syllogism as balderdash and I still do. I maintain, against a tide of disbelieving moms and dads (mostly dads) who read books, and internet trolls given to uttering death threats, that that book is bad because the writing is bad and because the plot in no way makes up for this deficiency. But my failure to understand what I now see The Mill on the Floss is about--the central importance of our first relationships with the people and places who raise us--is sort of related to this claim, and that's surprising. 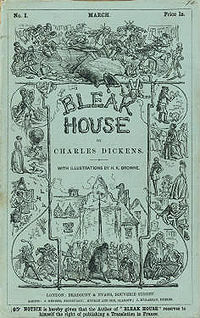 My failure to see what this novel's primary concerns are isn't the result of my not having had that experience, however (although my experience growing up was certainly nothing like Maggie's, and not just because I luckily had electricity, but unluckily no fetish whose head I could hammer nails into). Rather, it was, I think, the result of my being, at that moment in my life, determined to escape all the scenes and claims of my life thus far, to leave and be someone else by being somewhere else (and, indeed, I escaped directly to rural South Korea within the year). It wasn't that I didn't understand what made Maggie what she is; on the contrary, I quite desperately didn't want these things to be this powerful or important, and that clouded my reading judgment. To be someone else by being somewhere else--naive? overly simplistic? foolish? weird? Yes. But it's something Maggie feels implicitly and partly why I've always felt both attracted to and irritated by her. For while other characters in the book seem to enjoy the appearance of such bonds, none feel them so excruciatingly deeply as she does; certainly, none are as devoted to them as she is, even in spite of her struggles with her own vanities and selflessnesses. For her, family, birthplace, and her everyday life cannot be separated without serious damage to her soul. I was always desperate for her to show enough chutzpah to tell the stupid, self-righteous, and unbending Tom to shove it; to just leave, one way or another, and try to find some place where she wasn't constantly belittled and misunderstood. In other words, I wasn't just an immature reader during my first go-round with this novel, I was also a selfish one--for I wanted things for Maggie that she wouldn't have wanted for herself, things that would have made her even more miserable! I had a touch of Stephen Guest in me then and would have gladly tricked her down the river and out of town, just to give myself the satisfaction of kicking her dumbshit family to the curb. No, I was not a generous reader, and I suspect that's not unrelated to the fact that I wasn't a very generous person. I don't know if I'm a generous person now; probably not. But I think I'm a somewhat better reader. I think George Eliot was incredibly generous; indeed, I don't know how anyone who wasn't painfully generous could write books like hers. Her profound intelligence was focused so entirely on the human; even her philosophical musings, which the very silly Anthony Trollope complained about, never stray far from the most central human concerns. She looked deep and doesn't seemed to have judged anything she saw too harshly. 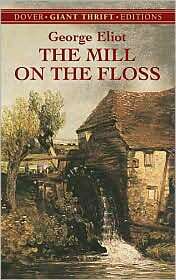 Now, about the physical act of reading The Mill on the Floss. I started out with a trusty Penguin Classic, sturdy and well footnoted. 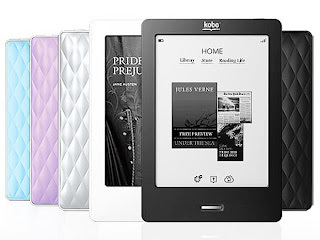 But my back has been not so great lately and to try to make carrying it around in my bag less of a burden, my husband convinced me to try it on the Kobo eReader he got for his birthday. At first, I absolutely loathed the experience. It didn't feel like a book and so I was constantly being reminded of the ridiculous Star Trek: The Next Generation prop I was holding in front of my face. I was distracted by how frequently I had to "turn" the page. No footnotes. And a lot of typos. I didn't think I'd make it. There was wailing and gnashing of teeth. But then, it somehow began to grow on me. And it's fine; at some point, it stopped feeling like staring at a gadget and started feeling like reading. I switched back to the Penguin tonight to finish The Mill on the Floss and that was also good, and now all of a sudden I have double the reading options I used to have. I don't know how often I'll use this thing; it is my husband's after all, and as acceptable as the experience turned out to be, I still missed the tactile associations of holding a book-book in my hands. That said, if I ever get around to Clarissa, it might have to be on Kobo...otherwise, I'll end up in hospital.